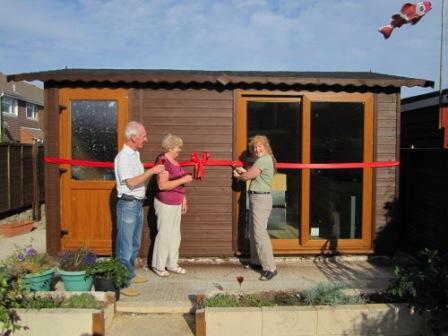 At LAST, my superShed is ready and I now have a workshop at the bottom of the garden. So far I have spent at least thirty hours in it over the last week, but don’t have very much to show for it yet. I’ve been experimenting with new polymer clay designs, and with me that usually means that for every ten hours of experimentation, only one of those hours produces anything that I’m (nearly) satisfied with. I enjoyed the process of doing research for the new design, and now that I can fairly consistently create a pendant that looks vaguely fishy I wonder if “Polymer Cafe” magazine would be interested in a step-by-step article of how to make them. I’m not sure whether anyone would want to wear a goldfish pendant, but I might put try one or two of them on ebay. I’ll do a bit of testing on my own first though, to see if the pendants are robust enough to wear on a daily basis. I did send an email to Polymer Cafe magazine the other day, but they replied saying that they didn’t think their readers would be interested in my step-by-step goldfish pendant, because it looked a bit too real. Oh dear. Beautifully done! Don’t berate yourself as you have real talent. 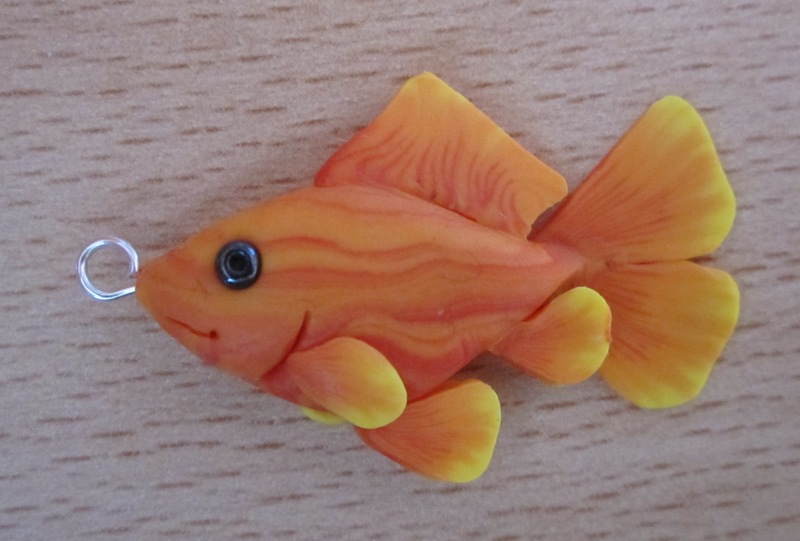 I would like to purchase the wavy orange Bristol shubunkin goldfish pendant. You name the price. Would you be willing to do custom work? Please contact me at nmteitler@yahoo.com. For reference, google my name.